Back by popular demand, Paint Night in the Afternoon at the Senior Resource Center next to the Pungo-Blackwater Library. 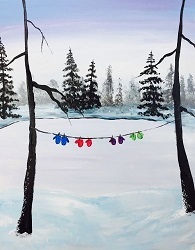 Join Susan as we learn to paint a winter scene. Seats are limited so register early! Adults. Registration is required.